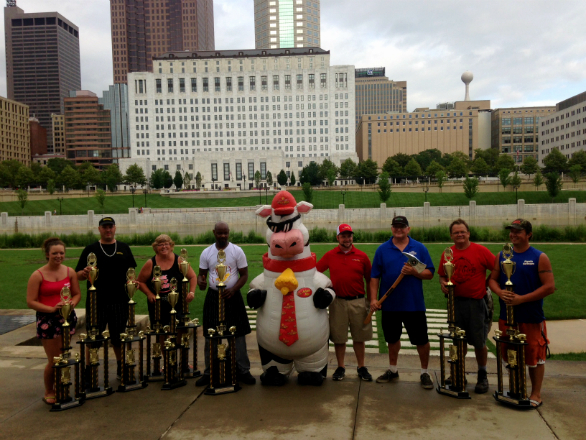 A total of 23 rib teams from across North America competed for Best Rib Awards Presented By Moo Moo Express Car Wash. The awards included Critics’ Choice, Critics’ All-Ohio Champion, Big Whigs’ Award, People’s Choice powered by (614) Magazine, Best Sauce, and the Silver Axe Award presented by the Columbus Division of Fire. Champion – Pigfoot BBQ Co.
3rd Place – Desperado’s BBQ & Rib Co.
2nd Place – Desperado’s BBQ & Rib Co.
3rd Place – Pigtails BBQ Co.
Desperado’s BBQ & Rib Co.
Click Here for a list of competing rib teams. Click Here to learn more about the awards and to see past rib team winners.